Paul Pogba intentionally toned down his usually flamboyant hairstyle during France's road to World Cup glory. The Manchester United midfielder has often faced scrutiny over his elaborate hairdos, fashion sense and penchant for fancy dance moves. 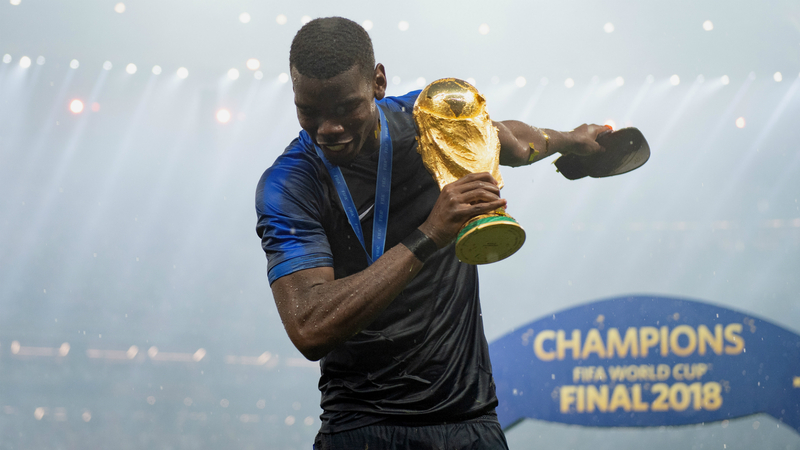 Pogba was keen not to give his detractors any ammunition during Russia 2018, though, and he played a starring role as Les Bleus were crowned world champions for the second time. "A haircut does not prevent you [the media] from talking, but I purposely did nothing, to stay low key," he told RMC. "I wasn't going to hear excuses about my haircut. We are going to stay focused. Talk about football, talk about the pitch, talk about performances. "People say I'm a leader. I will never say that, you have to show it on the pitch." Pogba is renowned for his laid-back attitude off the field, but his mature displays in Russia earned him plenty of plaudits. And the former Juventus midfielder also showed his leadership skills with an inspiring pre-match talk to his team-mates ahead of the final against Croatia. "There are moments when I laugh, I joke around, I love dancing," he added. "I like to enjoy my life, but I can also be serious when I have to be serious.